This workshop introduces tools for network-based mathematical modeling of infectious disease transmission dynamics with the EpiModel software package in R (www.epimodel.org). The workshop starts with an overview of modeling methods for infectious diseases and demonstrates why simulating highly structured contact networks is important for investigating many infectious diseases. Participants will learn the statistical methods of exponential random graph models (ERGMs) for modeling and simulating dynamic networks using easy-to-collect empirical data, then how ERGMs are used within EpiModel’s infectious disease simulation engine. We will perform some interactive modeling exercises to fit network models and run epidemic simulations to demonstrate how network, biological, and demographic features impact epidemic trajectories. We will close by showing how EpiModel may be extended to address novel research questions. Participants are encouraged to bring a laptop with R and Rstudio installed (instructions here: http://statnet.github.io/nme/prep-inst.html; some R package versions may be newer than when this guide was last updated). Some basic prior experience with programming in R may be helpful in getting the most out of the exercises, but it is not a prerequisite as workshop code can be run by R beginners. Additionally, while the content is focused on infectious disease, the same methods may be used to model social diffusion and related “contagion” processes across networks, so those interested in agent-based modeling more broadly are encouraged to attend. 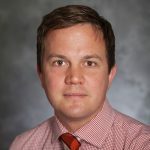 Samuel Jenness, PhD, is an Assistant Professor in the Department of Epidemiology at the Rollins School of Public Health at Emory University. He is the Principal Investigator of the EpiModel Research Lab, funded by the National Institutes of Health and the Centers for Disease Control and Prevention. The goals of his research are to develop epidemiological methods and software tools for mathematical modeling of infectious diseases across dynamic contact networks. His lab applies these tools to quantify the drivers of ongoing HIV/STI transmission dynamics and to project the impact of novel disease prevention strategies in the United States and globally. He received his PhD in Epidemiology at the University of Washington.